No one ever plans for a car accident. They happen with no warning, shocking the drivers involved. While there are a million resources discussing the causes of an accident, people don’t spend any time learning the best steps to take after an accident has occurred. A driver following the best safety practices will definitely be at a lower risk for causing an accident. But there’s no way to control the other drivers on the road. In fact, there are a number of things that are outside of the driver’s control: weather, road conditions, and acts of God, to name a few. Distractions. Life is naturally distracting, more so today than ever before. But the safest driving practice is to limit any distractions behind the wheel. Cell phones should be put away. Everyone knows how dangerous texting and driving is – a best practice is to wait until parked to respond to texts or return any phone calls. Impaired driving. Drinking and driving is illegal for a reason, but many people don’t realize their capacity is equally diminished with lack of sleep or on certain medications. Forethought. While no one can control the way other drivers behave, paying attention to the way other drivers are maneuvering can prevent accidents down the road. It’s not enough to practice safe driving – always pay attention to what’s happening around you to have a better chance at foreseeing possible problems. No matter how safe the driver, accidents can still happen. Even a small fender bender will cause shock and fear, which can limit the ability to think clearly and reason out the best protocol for the situation. The best case scenario is to be prepared for an accident and have a memorized list of the best steps to take after one has occurred. Remain Calm. That almost sounds laughable, but the immediate reaction for most people will be emotional. Even the most even tempered person can become irrational in the face of a life threatening situation – and even the smallest accident can appear severe at the moment of impact. Taking a few breaths and making sure emotions are calm is the best first step because no one can honestly assess a situation if they’re over emotional. Assess Injuries. Check yourself and any person in your car for injuries. In the event of a small accident, go ahead and check the other driver and passengers, too, before proceeding. In the case of a major accident where injuries look severe, do not move anyone – call 911 and make sure you explain the extent of the injuries before proceeding to do anything. Assess Damages. 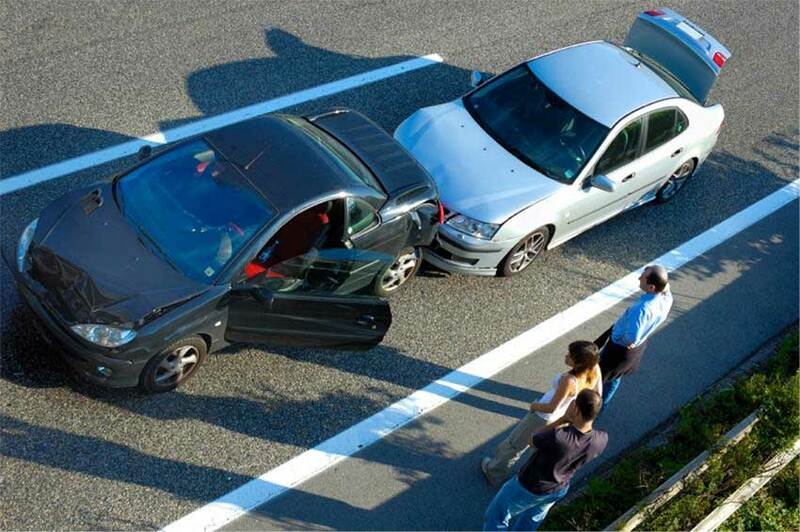 In the case of a smaller accident, check the damage to your own vehicle and any other vehicle involved. If you can document the damages with a camera, it would be helpful for insurance purposes. Call Police. Even if there are no physical injuries, police should be called in the event of an accident. Keep Your Mouth Shut. Most people will not tell you this, but the last thing you want to do in the event of an accident is to admit fault to the other driver, or say anything they can point to as admitting fault. Let the police do their job and evaluate the situation and then discuss the accident with the police only. Insurance Agent. Call your insurance agent to make sure they’re aware of the accident. You will likely need pieces of information from the other driver, such as license number and insurance. Many accidents can be avoided with the proper defensive driving techniques. A defensive driving course provides ample information on managing dangerous road situations. As an added benefit, completing coursework in many areas can aid in reducing driving insurance rates and reducing fees or penalties issued in the case of a ticket. In some cases a moving violation might be completely dismissed once a suitable course is completed.